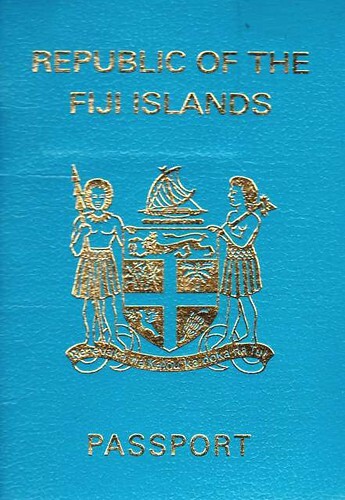 The Fiji Passport has been the inspiration for the diasporadic679 exhibition catalogue, a beautiful piece of design work being developed by Nicole Lim. Nicole worked on the exhibition catalogue for FIJI TIMES, a Fiji Day exhibition that took place in central Auckland in 2009. The visual reference to Fiji Times Ltd’s historic masthead was an acknowledgment of the newspaper’s role in communicating and reflecting Fiji society and politics. The use of the words ‘Fiji Times’ as the name of the exhibition referenced the ability for visual arts to communicate and reflect society in a similar way to the media. 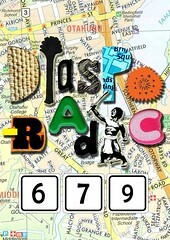 diasporadic679 employs the visual reference of the Fiji Passport as a document that has enabled our movement, representing belonging and identity. For this somewhat unconventional exhibition, being located in 6 independent venues, the exhibition catalogue will provide audiences with a map and walking route, information and stories about the exhibition venues, artist statements and biographies.